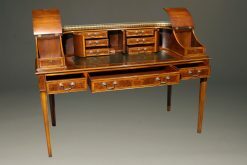 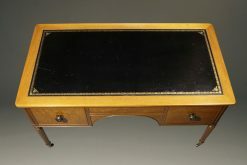 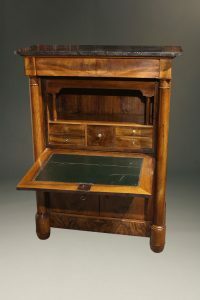 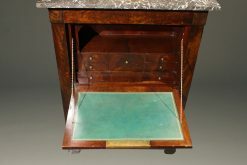 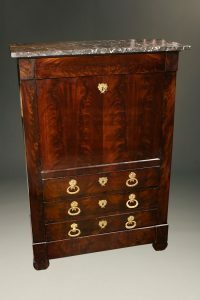 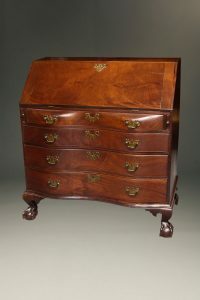 English mahogany Gentleman’s writing desk with leather top. 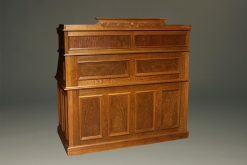 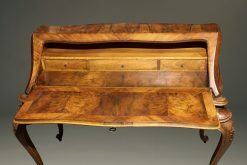 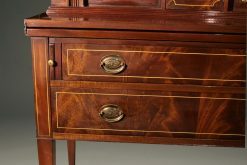 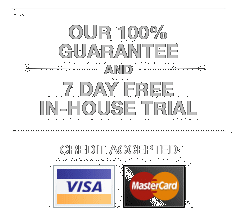 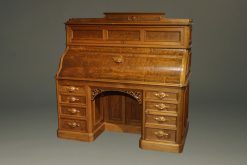 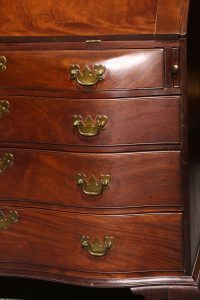 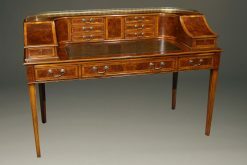 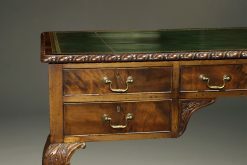 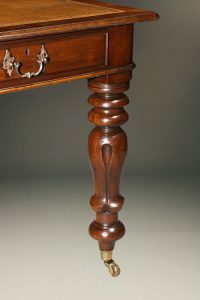 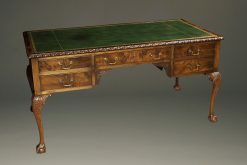 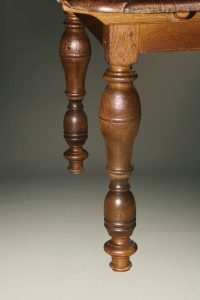 Custom English Carlton House desk. 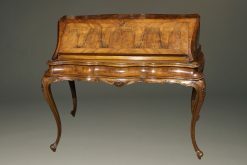 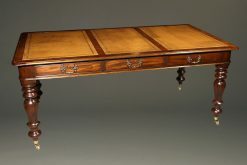 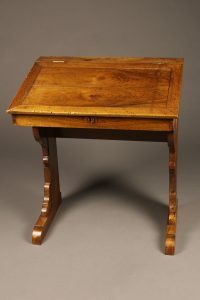 English Chippendale style writing table with leather top and ball and claw feet. 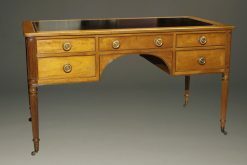 Very fine 19th century Victorian desk. 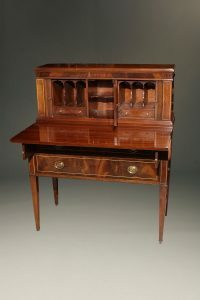 Colonial Revival styled mahogany ladies writing desk with tambour doors. 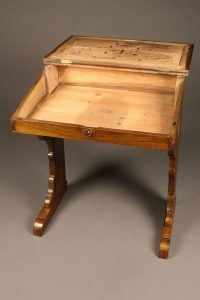 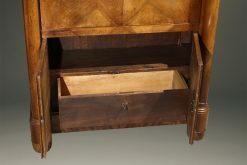 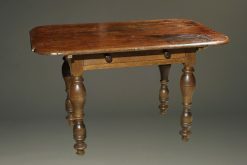 Mid 18th century German work table or desk with drawer.